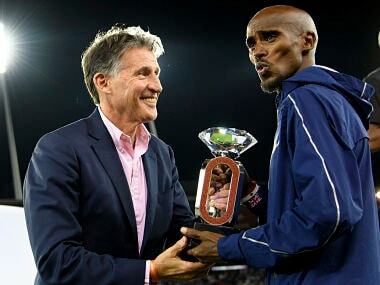 It was also Farah's first career Diamond League trophy. 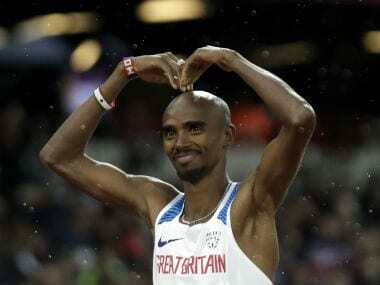 Farah, who had agonisingly fallen just short of a third successive distance world double in London last Saturday taking silver in the 5,000m, cruised home in the 3,000m at the Birmingham Diamond League meeting. 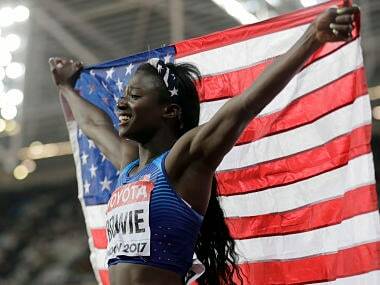 Schippers' thrilling victory placed her name among the goddesses of the event Jamaican Merlene Ottey and Allyson Felix of the United States in winning the 200m world title more than once. 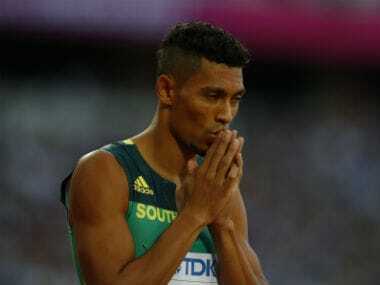 Here are the events and the athletes that you should watch out for on Day 5 of IAAF World Athletics Championships 2017. 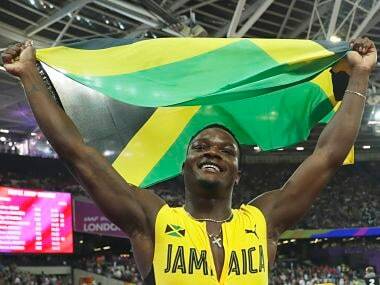 Here's a look at the medals tally after Day 4 of IAAF World Athletics Championships 2017. 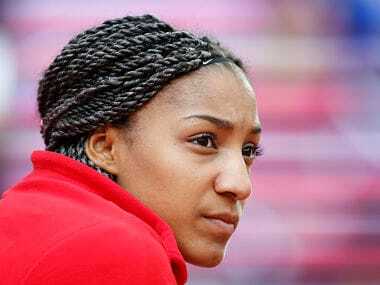 McLeod, 23, led from start to finish to take the title in 13.04 seconds from defending champion Sergey Shubenkov with Balazs Baji of Hungary taking a surprise bronze. Here's a look at the medals tally after Day 3 of IAAF World Athletics Championships 2017. 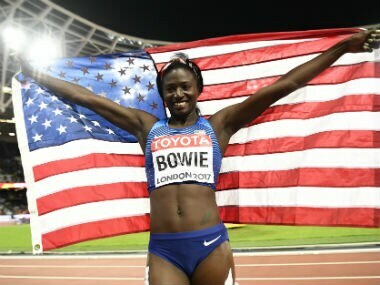 American Tori Bowie upset Jamaican favourite Elaine Thompson to win world 100m on Sunday, as New Zealander Tomas Walsh dominated the shot put with a stunning series of throws. 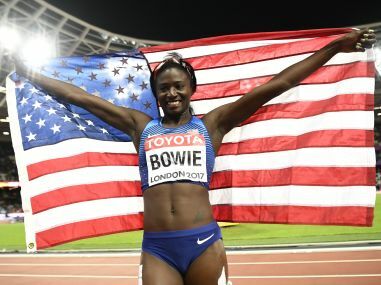 American Tori Bowie won the women's 100 metres world title on Sunday making up for her silver in last year's Olympics while Rio gold medallist Elaine Thompson struggled home in fifth place. 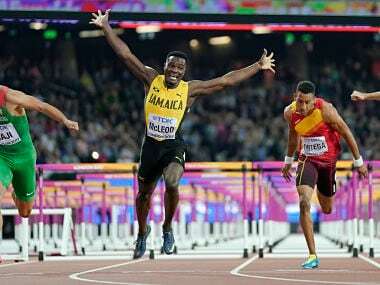 Catch all the live updates and results from Day 3 of the much-anticipated IAAF World Athletics Championships 2017 in London.